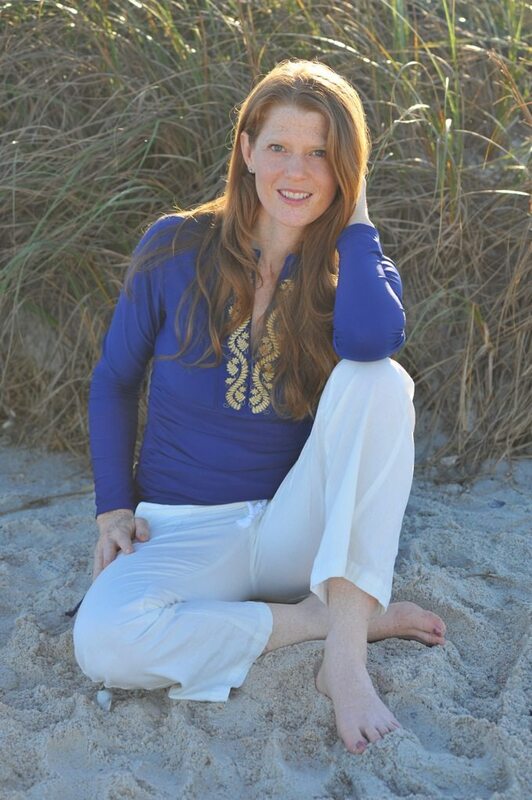 I met Melissa Papock, founder of Cabana Life, right when she moved to Ponte Vedra. It was instant like on my end. She’s witty, friendly, intelligent and warm. Ponte Vera is lucky to have this talented lady in its midst, and our beach-goers are all safer and more stylish thanks to her and her growing business. We are starting our third year in PVB (practically to the day). We arrived in Florida from Connecticut on meet the teacher day at PVPV-Rawlings. Talk about chaos! My favorite thing about PVB is the laid-back lifestyle. Living close to the beach makes everything better. Families tend to be more relaxed and down-to-earth, work is more bearable in the sunshine, and the fact that a piña colada doesn’t feel out of place at any point is a total bonus. What made you start Cabana Life? I was inspired to start Cabana Life after being diagnosed with melanoma, the deadliest form of skin cancer, when I was 26. I quickly learned about the dangers of the sun and that my lightweight clothing wasn’t protecting me as much as I thought it was. That white T-shirt you slip on at the beach when you feel your skin burning provides only moderate protection from sunburn, with an average ultraviolet protection factor (UPF) of 7! * That’s what inspired me to create a line of sun protective clothing that fuses fashion with function, offering 50+ UV protection for the the whole family. Of course it took me several years to research the technology and garner the courage to leave my cushy Condé Nast fashion magazine job (and clothing allowance). How long have you been doing Cabana Life? I’ve been living my Cabana Life for 10 years. What should people know about Cabana Life? Cabana Life is a true labor of love. While it hasn’t always been the easiest path, I’m proud that through perseverance, Cabana Life is considered a leader in stylish sun protection. We’ve touched the lives of so many with more than 1 million sun safe fashions sold. The most exciting part of success is the ability to give back. This year Cabana Life teamed up with Stand Up To Cancer to design exclusive PROTECT message rashguards, with 100% of net proceeds funding cancer research. With 3 kids and a growing business, there isn’t much time left for hobbies. I love traveling as much as I can, and often use business trips as a jumping off point for personal travel. I just took my 10-year-old daughter to China for Spring Break, which was the perfect combination of business and pleasure. My kids (individually). Stealing alone time is so important, and treasured by all. English was my favorite subject up until college, when I finally had the chance to study business and marketing. I’m not sporty, so I’d be lying if I said I have a favorite team. I just finished What Alice Forgot, which was a poignant read for this harried mother. I actually enjoy writing more than reading so maybe one day I’ll write my own book about this crazy journey. My favorite trend in my business is the rise of the rashguard. It is exciting to see how the rashguard is becoming a key part of swimwear for all ages. It illustrates growing awareness and demand for sun safe solutions. A trend I don’t like is the prevalence of skin cancer in the US. One in five Americans will develop skin cancer in the course of a lifetime. ** I’m constantly hearing horror stories about the devastating impact of skin cancer. If I could change anything, I’d add a sizable pocket of historic homes in the area. I adore the character and charm of older homes. We’ve been potty training my son and that has been a daily comedy show! He insists on doing EVERYTHING off our dock. We end up laughing too hard to be parental. **Robinson, JK. Sun exposure, sun protection, and vitamin D. JAMA 2005; 294:1541-43. How do I find your clothing y ? ?